UL Listed for Indoor Locations. TO CLEAN: Use a clean, soft cloth to wipe your shade. If necessary, you may use a white cloth dampened with a mild solution of soapy water to gently wash the shade. Rinse thoroughly with a white cloth dipped in clean water. 100% SATISFACTION GUARANTEED. 365 Day Returns or Exchanges to Del Mar Fans & Lighting. A glowing filament radiates through the texture of a chromed perforation cylinder within the shimmering clarity a larger blown glass crystal vase like tube. 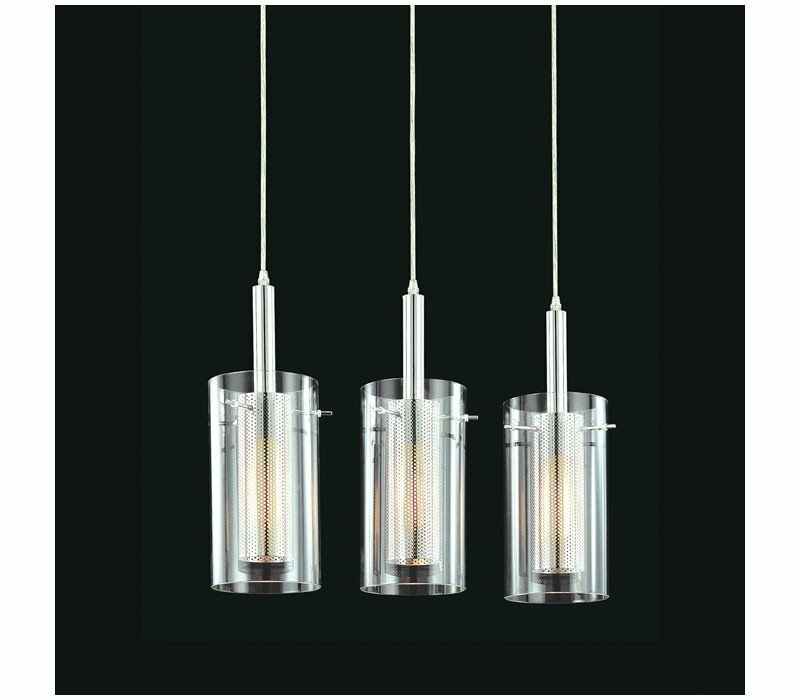 The Sonneman 4396.57 Zylinder collection Chandelier Lighting in Black & Chrome uses Incandescent light output and brings Modern style. This item is 16.5"H x 7"W x 23.5"L. The wattage is 180. 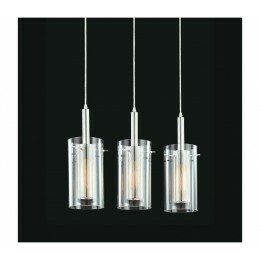 The Sonneman 4396.57 requires 3 bulbs (not included). Additional Information: Shade-Clear Glass.